The Lake Geneva Lake Shore Path is a 21 mile trail of clever unique, and unforgettable hiking. It is a 2 foot wide single track footpath encircling Geneva Lake that meanders through the yards of historic and modern estates. It is a hiking trail - a world class hiking trail - yet a hiking trail of such unique character that it becomes instantly memorable. If you take the time to walk its full length or even a small segment of it you will own enduring memories for a lifetime. A walk on this trail is a watercolor master work come to life. Imagine taking morning coffee beneath a painted umbrella at a cafe on a street bustling with foot traffic while boats come and go in the harbor within view. 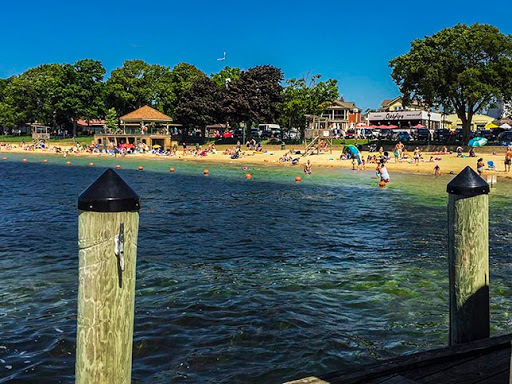 This is not some distant exotic place ... it is Lake Geneva Wisconsin - a leisure town in America's heartland. 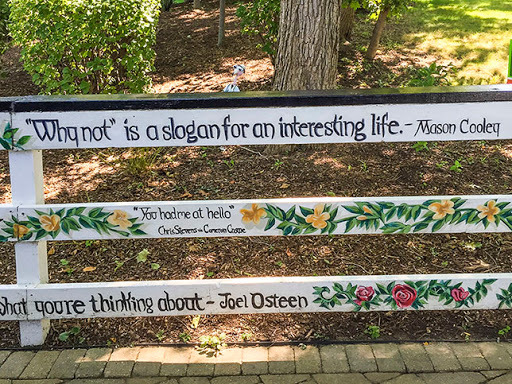 The vibe in the towns of Williams Bay, Fontana, and Lake Geneva is casually European. Easy summer mornings extend into playful afternoons and pensive evenings. This is the historic weekend playground of Chicago's most notable. In the beginning it was a journey out of the city to a summer holiday resort. With the 1871 Chicago fire, those grand "cottages" on Lake Geneva turned into the permanent homes of America's most industrious: the Maytags, Sears, Shwinn, and Wriggly's. It was the setting for stories that spilled from the pen of F Scott Fitzgerald. Nobody understands leisure like the rich who can afford to not only indulge completely, but who can invoke leisure as its own cultural form. Today that vibe remains, if not enriched by summer rites and traditions now centuries old. New money is now old money. Little has been lost or altered. 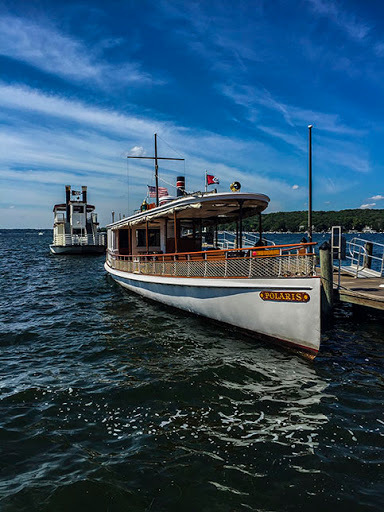 While the train depot no longer welcomes summer vacationers, you can still ride a steamer from the Riviera to a personal dock, and the mail and morning paper is delivered by boat to dockside mailboxes as it has always been. The front yards face the Lake. 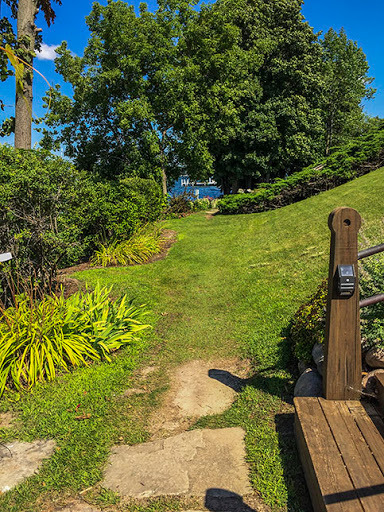 Perhaps Lake Geneva's oldest tradition is the Lake Shore Path. It was a trail encircling the lake leading from one Pottawatomie village to the next. As European immigrants began to settle the area the path remained. 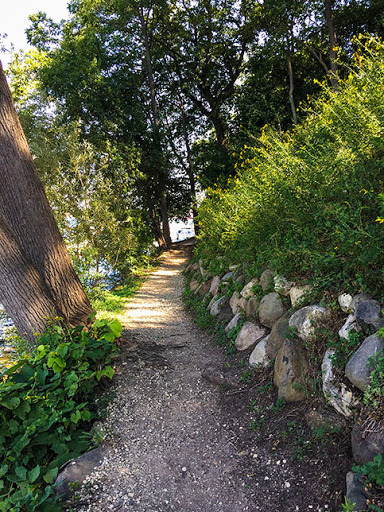 By law, this trail must be maintained by lake front property owners and be always open for the public to walk on between the three communities on the shore of Geneva Lake. 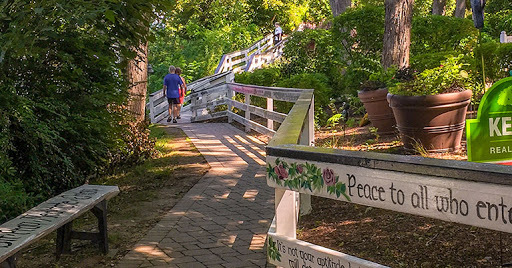 The 21 mile Lake Shore Path is a reason that this leisurely resort mecca has endured. There is a worry free culture in Lake Geneva - open and neighborly. The trail which connects all of the old guard and the new is a symbol in itself of something superior and special. They could never get away with a public path crossing the estates of Lenox Mass ... but it's a matter of nature here in Lake Geneva - where sophisticated people live and play in harmony free from being barricaded behind high walls. Not to mention - if you own a gilded age mansion - don't you really want people to admire your wealth and splendor? Lounging on your marble portico as the gawkers walk past is the ultimate on-the-inside-looking-out moment. 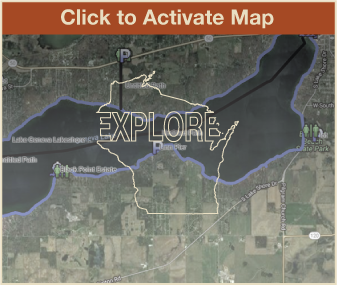 The novelty of this hiking trail is that it crosses historic lake front estates. Each estate owner has developed and maintained a segment of trail with personality and unique landscaping. Every few minutes you find yourself immersed in a new environment. In one yard you will be walking on flagstone pavers through formal French gardens, and the next on a crushed stone path through woodlands. 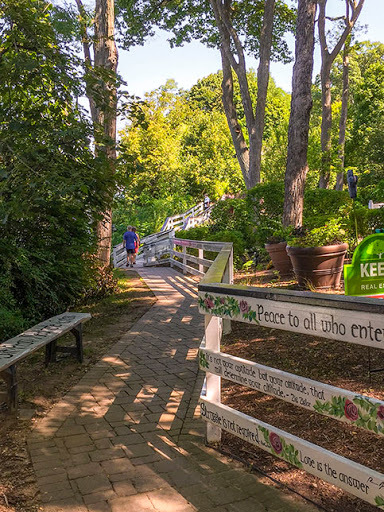 Some homeowners have maintained their section of the path with dignity and care - offering solid pavers, delightful gardens, and artistic flourishes. However, other homeowners aren't with the program - doing the bare minimum to provide public access through thickets on footpaths pushed so close to the lake as to be one gulp away from swimming in it. While most celebrate the opportunity to have a wonderful lake front trail cross their property, there are a few who haven't embraced it. We can hope that one day the stakeholders of Geneva Lake will all realize the full value of this trail to this resort community. 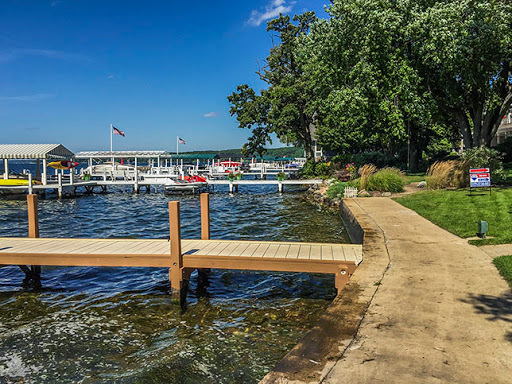 While the lake shore trail is a highlight, the Lake Geneva area has much to offer travelers and daytrippers: Endless iterations of recreational boating, water skiing, sailing, golfing, beaches, dining, canopy zipline tours, and so much more. 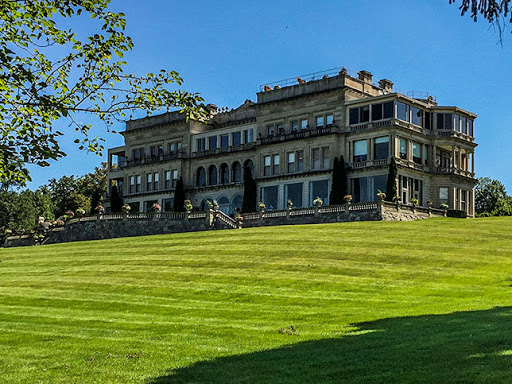 Start with a brisk morning walk on the lake shore trail and then take a ferry boat from the Riviera Boat Docks to the Wisconsin Historical Society's Black Point Estate for a tour of a Victorian era home on the lake. You will also find some of Wisconsin's most exciting mountain bike trails at nearby John Muir Trails or Emma Carlin Trails. I highly recommend the later for challenging trails. For serious walkers, The Ice Age National Trail sports some of its finest miles nearby. Try the Whitewater Segment, Blackhawk Segment, or my favorite, Blue Spring Lake Segment. From mild to wild, Lake Geneva offers an array of activities throughout the year - though summer and autumn are exceptional. The lake shore trail has always been close to the heart of this charming lake community.